Gusty East Winds will slowly diminish later today with warming aloft later this week and strong temperature inversions expected….The Weather will likey remain dry for a week or two……. « Chilly Today with strong Easterly Winds over the crest developing this afternoon…..It will be fair and milder later this week…..Dry weather is expected this week…. There is not much to add to the previous discussion other than to emphasize that this pattern is all about the big Trof in the East and the other Trof in the mean north of Hawaii. The Dweebs know that when the big Trof in the east moves out to sea, the west coast ridge will weaken and some energy will more through. Whether it brings just wind and cooling or some light snowfall it is not known at this time. However, the timing appears to be about the middle of December for this to take place. I have been writing about teleconnections a lot lately. During a winter like this, they really can give a better picture to what is happening, as well as to add support to what the models are doing with our future weather. Things to watch for: Feed back mechanisms like wide-spread snow cover developing over the Great Lakes Region and Eastern US. Also the development of anomalous warm water along the west coast. These two feed back systems if established would be a future concern to the persistence of a dry southern and central west coast winter pattern. The current pattern if it persists could be perpetuated into the winter if anomalous warm water develops along the west coast (+PDO) in conjunction with a large-scale snow pack in the mid west and east. On a positive note, the *Climate Forecast System” is still consistent in a break down of the current Ridge Trof pattern over the CONUS and develops a teleconnection of a strong negative phase EPO and WPO. This along with at least a neutral “PNA” should return storminess to California with needed precipitation toward the end of the year and into January. 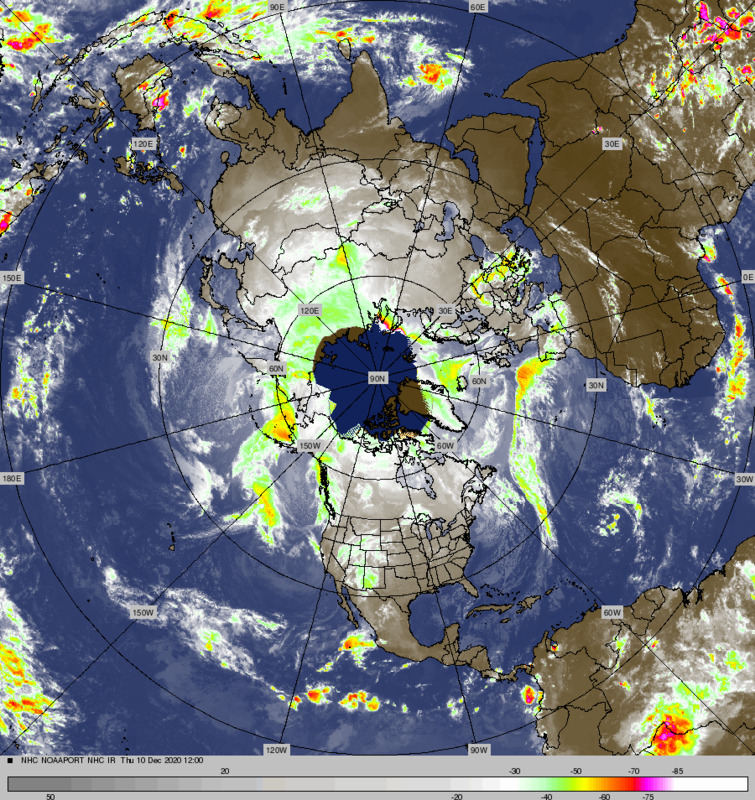 The Global models EC and GFS should have decent visibility as to this change in about 6 to 10 days. Although it is always possible to go from one drought pattern to the next, I trust the EC quite a bit as its physics are better at long distance than the GFS. By the way, I have chatted lately with several locals here in Mammoth that have been up on the hill skiing and boarding. All have indicated that snow condition are very-very good. Comparing ski reports over California, Mammoth Mt certainly has the very best snow conditions in California with the most snow pack reported of all the resorts. Mammoth Mt reports a 5 foot base over the upper elevations due to receiving more than 6 feet of snow during one of the AR events of November. The lower slopes has about 2 feet and they have been adding to that base with their extensive snow making system nightly. Over the past few days, it has been cold enough to make snow during a lot of the daytime hours and all night. This includes The Little Eagle area as well as Canyon Lodge. Skier’s and Boarder’s are going to be amazed how good the skiing is when they are up for the holidays! Below is the Weeks 3 and 4 500MB outlooks from the Coupled Forecast System/Upper height anomalies at 18,000 feet; Note the Red (Positive Height Anomaly (Blocking) over Alaska and Siberia and the Green (Negative Height anomaly) on the week 4 chart at the bottom. Also note the Blue Color “The Polar Vortex” becoming stretched out shifting well east. This is far from where it has been. Note the Green (negative height anomaly below the Red on the week 3 chart, (Rex block) morphs to a full high latitude block in the WPO and EPO region. The Negative Height anomaly gets established over the Pacific Northwest. If this verifies, this should be a good pattern in late December and early January for badly needed precip over the Central and Northern Sierra. This looks to be a colder pattern as well. It is another clear cold morning here in the Eastern Sierra. As the western ridge continues to build over the entire west coast and even up into Canada, a strengthening cold surface high over the Great Basin with a general off shore flow pattern is expected to prevail for several days. Air Quality will diminish for those who live in the Eastern Sierra. Expect hazy conditions both day and night beginning Wednesday. This new pattern initiates with a strong east-west gradient. Gusty easterly winds over the Sierra Crest will slowly diminish over time, then briefly increase again Wednesday night. 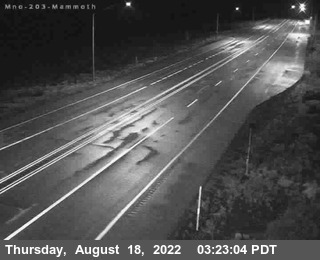 Mammoth Mt was reporting easterly gusts to 70mph range this AM. Again, winds will gradually diminish over the upper elevations as the gradient relaxes. At the Same time, warming aloft will begin today with the freezing Level expected to go up beyond 11,000 by tomorrow Wednesday. Once reached, an 11,000 foot freezing level will continue through the weekend. High temps will climb into the 50s later this week at resort levels while lows at night will rise to the 20s and 30s. This pattern over the far west is part of the infamous positive phase of the Pacific North American (+PNA). Its key teleconnection lies over BC, Canada were it is anchored. When teamed up with a strong negative phase of the Arctic Oscillation (-AO) (Anomalous high heights over the Arctic) This pattern along with a northern hemispheric four wave, (long wave pattern) is very stable and unlikely to change anytime soon. The Climate Anomalies from todays run of the CFSv2, shows a 500mb positive height anomaly remaining anchored over the far west for both week’s 1 and 2, or through the 18th of December. During week 1, the 500mb Height anomalies axis is located about 120west or over the Sierra. During week 2 it may shift east to about 110 west. This eastward shift may bring further warming to the Owens Valley as there maybe periods southerly flow. By week 3 the interseasonal climate model shifts the northern part of the upper height anomaly over Canada further east to about 100West away from the PNA region, while the southern portion of the block remains strong over the Desert Southwest. This change will allow the westerlies to move back into the west coast from about Northern CA northward to Washington State. So the potential of an “AR” exists for the coastal regions of the PACIFIC Northwest. It would be primarily warm air advection precipitation over Northern CA, and most likely rain except for the highest elevations. Based upon this mornings run, most of it remains to our north and that may be a good thing! The week 4, 500MB height anomaly if we choose to believe it, definitely shows the Break Down of the +PNA pattern over the far west and SW Canada. So the pattern goes into transition, the last week of December. Yesterdays European EPS, PNA region showed the +PNA dropping to neutral by the 28th of December. What is even more encouraging is that the Western Pacific Oscillation goes negative about the first of January and the Eastern Pacific Oscillation goes negative beginning the first week of January as well. These two Teleconnections indicate that high latitude blocking high pressure aloft will develop between Alaska and the Bering Sea during the first week of January and into the 2nd week. PS. The AO goes positive the first week of January, and so there is the possibility of less Meridianal flow. This may allow the pacific jet to make its way to the west coast again. Just using these teleconnections along with a negative PNA, tells the Dweebs that a stormy period will take place possibly beginning sometime toward the end of the month of December. The odds will then increase through first half of January. Of course, the Dweebs will have better visibility in about 1 to 2 weeks.